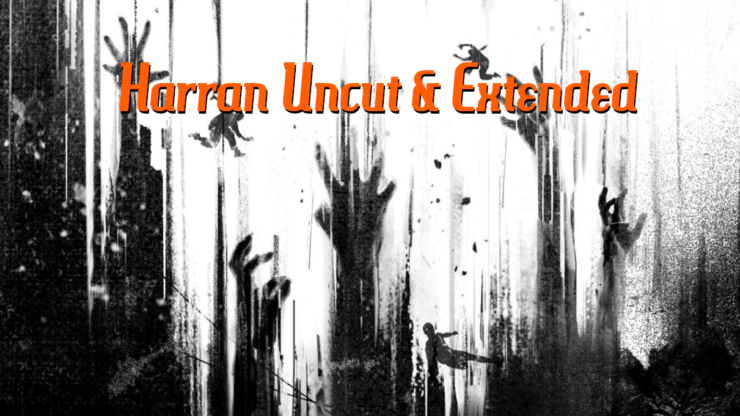 The New Dying Light Mod ‘Harran Uncut and Extended’ restores some of the game’s cut features and improves some gameplay mechanics. Created by modder ‘Ethical Lune, the lightweight mod makes Fall heights more realistic, makes Soft Landing skills available from the start, boosts swimming and sneaking speed, and much more. Fall heights are more realistic, more akin to Mirror’s Edge rather than Spiderman. Performing a parkour roll will be necessary for any big jump to avoid getting hurt. Look at the terrain semi-realistically and you will adapt to the more reasonable fall heights in no time. •Parkour rolling/Soft Landing skills are available for free from the start. •Freerunning Expert will unlock a cut wallrunning feature, it works the way you’d expect and you can also jump away from the wall while wallrunning. Do note that the game obviously is not designed with wallrunning in mind, so it’s only useful in a handful of situations. Also noteworthy is that while it looks fine in first person, there is no third person animation for wallrunning which may look a bit odd if you play co-op. •Brutal Grapple will allow you to perform a frontal grapple, which is also a cut feature for reasons unknown. •Takedowns use a slower unused choke-out animation instead of the rather silly neck snap animation. •Sneaking is quite a lot faster. •Swimming is much faster, but the breath timer drains twice as fast, which is still quite a long breath timer. •The grappling hook has a 30s cooldown and a 30% reduced reach, it’s a pretty gamebreaking item but a longer cooldown and a lesser reach makes it less so. •Running will grant you a tiny amount of xp. •Sonar range is reduced to 20 meters instead of 50 meters. •Broken weapons deal 35% damage instead of 10% damage. •Regular kicks deal more damage & physics damage but cost a minor amount of stamina. This also means you won’t be able to spam kicks when out of stamina to keep a target permastunned. •Air kicks deal more damage but cost a bit more stamina. •Dropkicks cost a bit more stamina. •Combat stamina takes a little bit longer to regenerate. •Death from Above will use all stamina and has a 15 second cooldown. •Arrows won’t leisurely fly through the air like they’re underwater, more specifically arrows fly three times as fast. •Ragdolls will behave more naturally and most importantly will not weirdly automatically aim their heads towards the ground while falling. Those interested can download the mod from here. Dying Light is available for PC and consoles, although this mod is only for PC players.